MANILA, Philippines (January 24, 2019) – Staying true to its promise of offering only the best-value vehicles, pioneer compact car distributor Suzuki Philippines (SPH) starts the year strong with the launch of the new and improved version of its well-loved MPV, the all-new Suzuki Ertiga. The new version of SPH’s best-selling vehicle features a stronger yet more elegant and compact look and packs the Japanese automaker’s latest technological innovations for an enhanced driving experience. 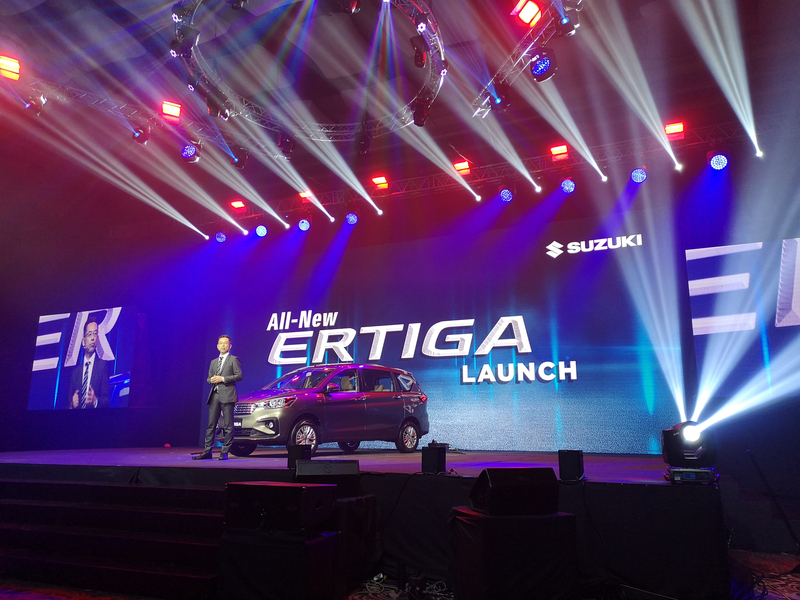 The 600 motoring media, dealers, bank partners and Club Ertiga representatives who attended the launch held at the Marriott Hotel Manila in Pasay City were the first to lay eyes on the new Ertiga. “With the increasingly diversified demands of the local auto industry and needs of end-users, we cannot be complacent when we’ve done well and stop innovating. We want to make sure that our customers get more than they deserve, which is why we decided to further improve the best-selling Ertiga. With its new features and enhanced functions, the upgraded MPV will definitely enable more Filipinos to live the Suzuki Way of Life! and drive SPH forward,” said SPH Director and Automobile Division General Manager Keiichi Suzuki. 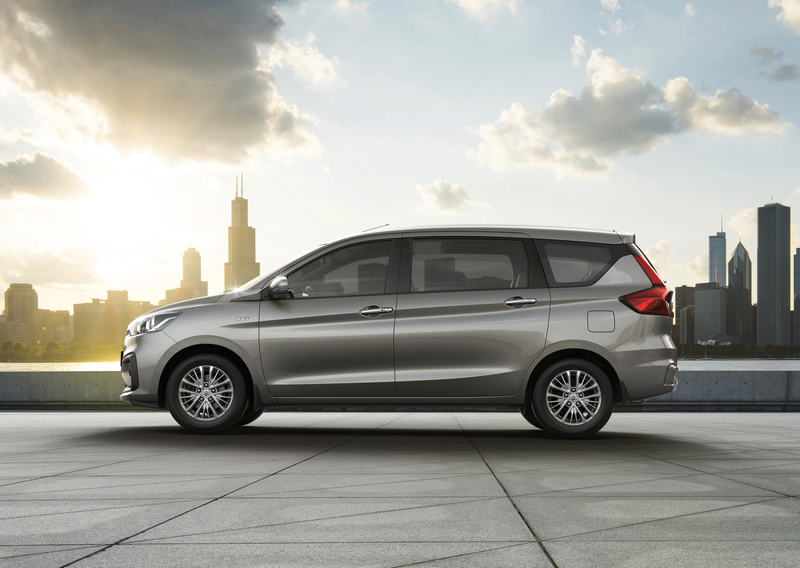 Sporting a fiercer look and boasting maximum functionality, the all-new Ertiga combines strength and elegance in a compact body, allowing Filipino families to go on adventures and seize the day in style. The upgraded 7-seater MPV features a taller nose and a wide and elegant front grille. The lower roof side extends the head room while providing a more stylish side view. The integrated lower grille and fog lamps add a sense of stability and make the car look edgy. Deeper curves on the side and shoulder and character lines were added to reflect robustness and a stronger presence. The interior of the all-new Ertiga is designed with sophistication and flexibility in mind. The new steering wheel has a flat bottom for better leg clearance while the gauges are painted with metallic chrome for a sleeker look. The seats have a deep curb with the fabric showing a 3D effect. The all-new Ertiga offers new comfort features to help make traversing Metro Manila traffic more bearable and pass the time away more pleasantly. The improved MPV has larger passenger legroom with the increased tandem distance of the 3rd row seats. For added relaxation, the third row has more headspace while the seats are designed with a reclining and tilt-down mechanism up to 16 degrees. For better ventilation and convenience, a rear AC was installed to keep the 2nd and 3rd row passenger comfortable. Small storage spaces are also added all around, including a coin holder, ventilated cup holder, improved center console and door pockets, to accommodate more hand-carry items. The all-new Ertiga comes in a light yet highly rigid body, thanks to Suzuki’s new generation platform, the HEARTECT. The new frame effectively disperses impact energy to improve safety while reducing noise and vibration. Another notable feature is the Total Effective Control Technology (TECT), which scatters collision energy across the vehicle frame to mitigate damage to the car and passengers. “All the upgrades on the new Ertiga are designed to give Filipino riders the confidence to enjoy every adventure knowing they and their family are safe and comfortable. Beyond making technological improvements on our vehicles, our goal is to always ensure that our customers have an optimum driving experience,” added Suzuki. 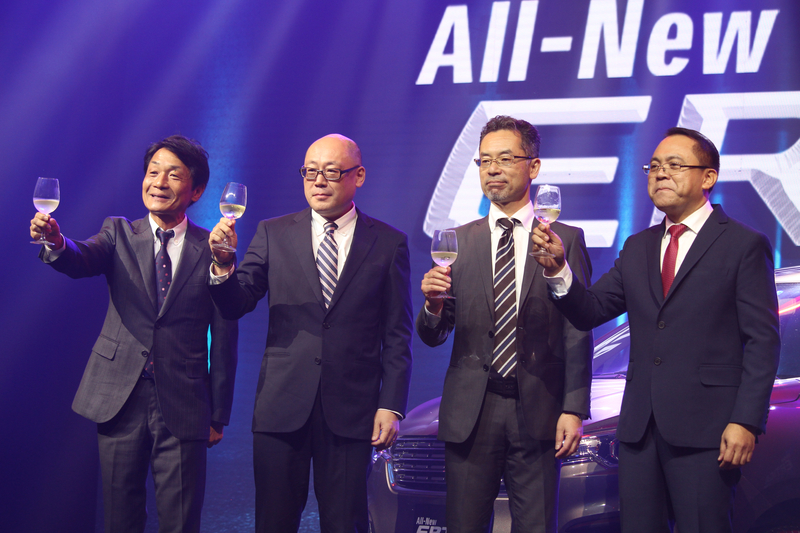 Closing the night with a toast with Suzuki Philippines President, Mr. Hiroshi Suzuki, Automobile Director and General Manager, Mr. Keiichi Suzuki, Ertiga Chief Engineer, Mr. Satoshi Kasahara and Managing Director, Mr. Norminio Mojica. .
For more information about the all-new Ertiga, visit http://auto.suzuki.com.ph/all-new-ertiga, like it on www.facebook.com/SuzukiAutoPH and twitter.com/SuzukiAutoPH, and follow on Instagram at @suzukiautoph. 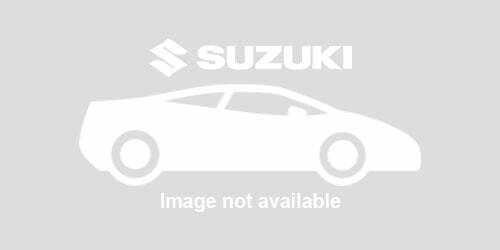 Suzuki Philippine Incorporated is a wholly-owned Japanese multinational firm highly recognized in the automotive industry. The company specializes in the manufacture and sale of motorcycle and distribution of compact vehicles.